For many companies, trade shows, conferences and industry events are the best way to promote your business to new and existing clients in a short space of time. With so many other companies and organisations vying for attention you need to stand out from the crowd and provide customers with quality branded merchandise that will remind them of your business, products and services. In today’s economy, it’s critical to generate new business and maintain and improve relationships with current customers and clients and we look forward to assisting you to do so. Conference Product Experts understands the importance of promoting your business to get ahead of the pack. We’re proud to stock a wide range of tradeshow giveaways and promotional products that, when decorated with your logo or advertising, deliver a message that will shine the light on your brand and logo. We deliver quality products and outstanding service. Our friendly staff of experts are ready to walk you through the process of choosing the best conference merchandise, products and items available to meet your unique and budget needs. You may only get one chance to catch an attendee’s eye in the hustle and bustle of a busy trade show and our fun and innovative range of trade show giveaways you will have what you need to give you the edge in a fiercely competitive business environment. We can creatively brand your logo on our range of conference items and with over 50,000 products to choose from we can make you stand out and make a powerful impact. We have a hugely functional range of merchandise, select from economical cost effective items right through to quality delegate and speakers gifts. We can assist you to maximise your investment ensure that you lead the way at all conference events and meetings with quality promotional products and conference giveaways produced by the Conference Product Experts. One of the best forms of advertising is having your name on a promotional product. 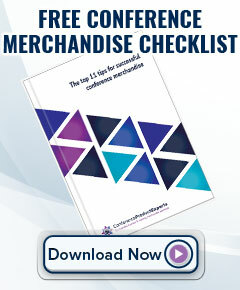 Conference merchandise, no matter what it is, is a sure-fire way to get your brand noticed. 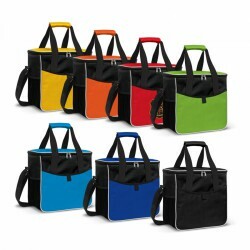 And what better product to display your branding on, than a functional piece such as a conference bag or satchel? Have you ever been to a conference or trade show, seen attendees wandering around the aisles with stylish promotional bags emblazoned with a competitor’s logo and thought you would never be able to afford such effective marketing? The truth is, with Conference Product Experts high-quality branded promotional bags are within any business’ budget. From laptop and duffle bags which are perfect for conference events, to eco-friendly tote, calico and paper bags that present you as a caring, environmentally-friendly business, you are sure to find something that piques your interest. Your business can even benefit from branding on travel bags, tool bags and sports bags. Whether you’re sitting front-and-centre at a crucial conference, or you’re one of many similar businesses at a tradeshow, you are sure to reap the benefits of having your potential customers out in the public eye with your promotional products. If you’re looking to add value to your brand in the most functional way possible, the team at Conference Product Experts can help you find a bag to suit. Our state-of-the-art printing technology ensures your branding is exceptionally distinctive on whichever bag you choose. After all, the ultimate goal is to maximise your visibility, and we’re dedicated to helping you do that. Conference products, no matter what they are, are vital to your ongoing prominence in a crowded environment where you need to find whatever edge you can to stand out. We look forward to helping you choose a conference bag or satchel to suit your requirements. Professionalism is exceptionally important when it comes to representing your business in the public eye. At any public event, trade show, conference or professional business meeting, your business is being judged not only on its merits but by the appearance of its staff. To give your business the professional image it deserves, speak to the friendly team at Conference Product Experts. We offer a range of customised clothing and apparel that will set your business apart from others in more ways than one. From improving the brand recall of your customers to being an effective medium to communicate your business motto or message; our cost-effective customised clothing can help. We pride ourselves on stocking a full range of apparel, no matter what your business. This includes complete team outfits, sport apparel, branded uniforms, hospitality wear, bathrobes, accessories and more. If you require a fully-branded outfit to put your business in a league of its own, we can help. Most importantly, our team care about making sure you’re happy with our products and services. We only use high-quality fabrics and premium printing processes to ensure our conference clothing has the desired effect. We also make sure the fit is to your standard, and offer a range of colour options to tie into your specific business branding. Ultimately, our branded event clothing is designed to act as a wearable billboard – reiterating your place in the market as a well-respected business. Let Conference Product Experts provide you with the tools to stand out at your next public event. Enquire about your branded event clothing today. When your branding is drowned out by all the competition and missing that x-factor, it’s vital you make it stand out from the crowd. You can do that and more with promotional corporate compendiums. Here at Conference Product Experts, we provide an extensive range of compendiums to suit your unique business requirements. From premium leather and leather zip compendiums with bold branding options for valued clients, through to non-leather, ring binders and conference folders for trade shows and public events, there’s something to suit everyone. In fact, we’re so confident in the quality and cost-effectiveness of our promotional compendiums, that we have a price beat promise! Whatever your budget and whatever your business, Conference Product Experts has a wide selection to suit. When you need your business to shine bright, you don’t have to settle for standard blacks and browns. 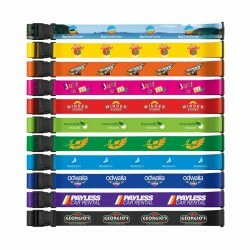 We offer a variety of colours and styles to help you achieve ultimate brand recognition. The best part is; with such a full range of compendiums available from Conference Product Experts, you have plenty of options to choose from to suit your customers as well as your brand. Don’t settle for less than the best when you can select a promotional product your customers will appreciate, from experts you can trust. Impress the customer, promote your brand, and provide a functional gift all at the same time. Get in touch with the team at Conference Product Experts to reap the benefits of compendiums. Everyone loves something sweet to brighten their day. There’s no better way to win prospective customers over at public events, than with promotional lollies, biscuits and other delicious sweet treats. While it may be tempting to ask Grandma to bake her famous fudge; for that professional touch, contact Conference Product Experts for branded confectionary. Not only do your customers get to take home lollies bearing your logo to share with family and friends, but they will remember you as a generous business that took the time to cater to those with a sweet tooth. 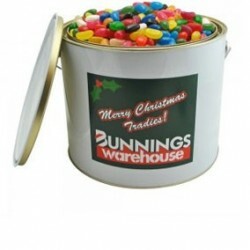 From gorgeous presentations of lollies in mugs, bowls and jars, through to branded mint cards, lolly tins, lollipops, and biscuits, you are sure to appeal to a wide range of people. Most importantly, if they make it home, the kids will love being treated to a lollipop! Not only can we provide your business with several options for printing, but we can even help you choose the best confectionary colours to suit your branding. 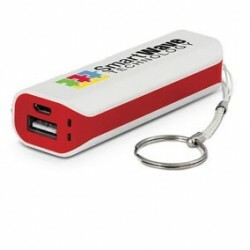 There’s more to a promotional product than just giving it away! Brand strategically, and call upon the experience of our friendly customer service team to help get the ball rolling. Conference Product Experts are proud to stock a wide range of confectionary and treats to suit your exact requirements. Whether you’re after small treats to hand out to anyone and everyone at trade shows, or you’re looking for something a little bit more refined to show customers you care, there’s an eclectic mix of goodies available to cater to all your needs. Get in touch today to find out how we can turn sweet treats into deal sweeteners. Expos, trade shows, public events and special client meetings are just a few of the many opportunities for your business to shine. However, it’s not enough to simply turn up and provide brochures and information. In a crowded expo, your business needs to be one step ahead of the competition. You can achieve this goal with promotional desk and office products from Conference Product Experts. Many of your clients will no doubt be desk-dwellers, handling the majority of their workload from their computer. This is an excellent opportunity to provide your valued clients with a product bearing your name that they will use and look at every day. Brand recognition is critical, and we’re dedicated to helping you linger on the minds of your customers. 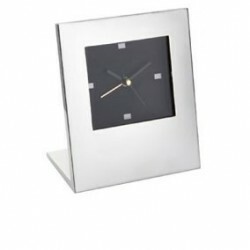 By providing your customers with a branded desk clock, a wall clock, notepads, stationery and calculators, your branding immediately covers a larger target market. Your clients and even their clients will all become familiar with your name. We can even provide you with competitive pricing and exceptional service for promotional fridge magnets, rulers, stopwatches and erasers – all to hand out to valued clients. Your branding exercise doesn’t end with the closing of an event. Produce a range of desk and office products, and reap the benefits of the flow-on effect! Get in touch with our experienced customer service team, and find out how our desk and office promotional products can be of benefit to your business. It can sometimes be tough to know what to present your customers with when you’re attending that all-important conference or event. While printed pens and promotional stationery are an elegant option, upscale events can call for something a little more extravagant. Hearing your call for promotional products to get your valued clients talking, the team at Conference Product Experts now offer bar and drink accessories to set your business apart from your competition. 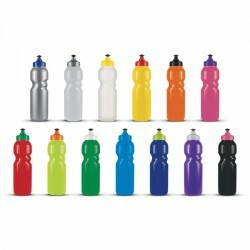 From promotional water to keep your visitors hydrated, travel mugs and drink bottles through to branded coasters, flasks, glasses and bar accessories, there are so many products from which to choose. Best of all, these corporate gifts are bound to be used in both a personal or professional setting by your customers, giving you further exposure over time. Reusable coffee cups are also another fantastic option when it comes to treating your clients. Convenient in the office, out and about, or in transit, they will become a personal favourite in any situation. All of our bar and drink accessories are personalised utilising only the very best printing technology, and we stand by our workmanship every step of the way. We offer a price beat promise, deliver promptly across Australia, and have dedicated staff on-hand to help choose the best promotional bar or drink accessory to promote your business. When a high profile conference calls for the best promotional product, choose from our elegant mix of options. 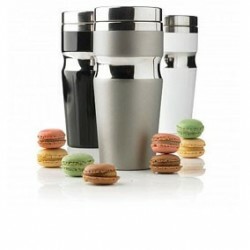 There is sure to be a branded glass, cup, bottle or flask to suit any situation. 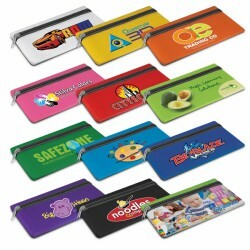 Choosing printed environmental products as promotional merchandise adds a whole new dimension to your brand’s image. 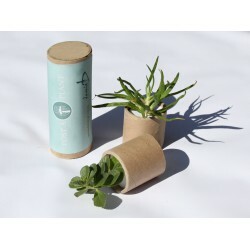 These printed items convey a message of concern and caring for the environment which will certainly endear you to customers. If saving the environment is among your business’ advocacy, then these eco-friendly products are the logical choice. Printed Environmental Products. Made with biodegradable and recyclable material, promotional environmental products leave minimal footprint on the environment. Branded with your corporate name or logo, they are effective in bolstering brand visibility especially considering people love to be seen using such items. Our collection of printed environment products is diverse ranging from custom stationary and pens to branded desk items and environmental tools. We even have promo recycled baseball caps and non woven bags, which are perfect as giveaways. We offer a wide array of economical enviro bags, novelties and clothing fit for all kinds of budget and needs. We give importance to customer satisfaction which is why our sales team will be there for you every step of the selection and ordering process. Should you require more information regarding our eco printed environmental products, please feel free to contact anytime. Whether you’re representing your business at an important conference or event, or you’re sponsoring or hosting a conference, our extensive delegate and speaker gift range will be sure to impress! 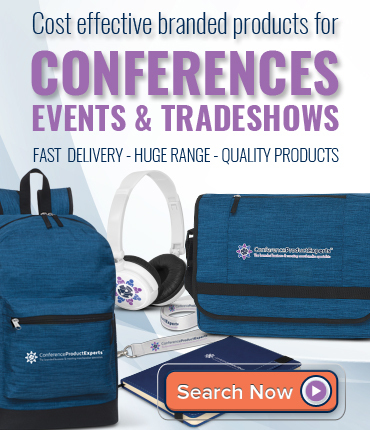 Not only can the team at Conference Product Experts provide you with all manner of promotional products with which to treat speakers and delegates, but we do so with competitive pricing, a price beat promise, and lightning fast turnaround times. So, how do you thank your delegates and speakers while at the same time achieving powerful brand recognition? 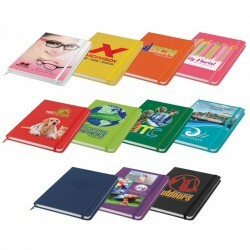 You provide them with promotional products that are both useful and refined. This could include wine sets, desk clocks, compendiums, presentation pens, keyrings, office products and more. We pride ourselves on offering a full line of premium printed products that express your gratitude for clients, delegates and guest speakers in the best way possible. When a bottle of wine just won’t suffice, a sophisticated gift set with subtle branding might be just the way to say thank you in style..
At Conference Product Experts, we understand just how important it is to thank the people who help our business retain its image in the public eye. This is why we ensure all our products are manufactured to the highest of standards, and are then finished with premium printing options to help set your business up for success. Take the first step to presenting a professional business product that will be happily received. Get in touch with our friendly and experienced customer service team, who will be more than happy to point you in the right direction for delegate and speaker gifts to suit your unique purposes. With the intense Australian sun beating down on us on a daily basis, it’s no surprise that you see so many people donning hats as they go about their day. Because hats are such a popular accessory and outfit accompaniment, it makes complete sense for your business to utilise them as a branding opportunity. The team at Conference Product Experts can help you achieve this. From beanies, caps and straw hats, through to visors and wide brim hats, there are so many options to choose from for your business’ branding requirements. 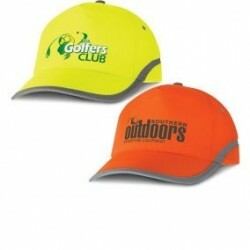 Each style of branded headwear is a new opportunity for your logo to be exposed to a wide variety of people. Reap the benefits of brand recognition at the beach, in stores, at local parks and even at your regular corner cafe. There’s no limit to where your branding will end up! When it comes to making sure your brand is well-represented in the marketplace, the team at Conference Product Experts has you covered. Our full range of branded headwear is manufactured to the highest of standards, with screen printing and embroidery to give it the ultimate edge. 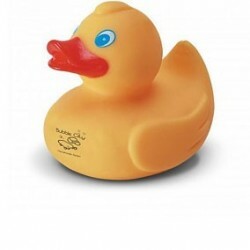 Nothing says ‘quality business’ quite like a promotional product! Whether you choose to opt for a visor to cater to the beach-goers, or a beanie to prepare for winter ahead, you’re sure to be impressed by the feedback. Choose headwear to suit your requirements, and contact our friendly customer service team to place your order today! If your business is looking for promotional products to set you apart from your competition, technology products printed with your branding could be an excellent option. With mobile phones, tablets and laptops such a vital part of modern business and personal life, such a gift is sure to be well-received. Whether you’re attending or exhibiting at a conference, or talking to valuable clients at industry events or trade shows, you’re sure to be the winner on the day with a branded technology product. From bluetooth speakers, flash drives, mouse pads and power banks through to headphones, tablet cases and digital photo frames, there are so many technologically-advanced products that could bear your branding! In fact, not only do we provide an extensive range of technology products to suit your every requirement, but we also print your logo on them with a range of different methods to represent your brand effectively. As the experts in branded conference products, we also understand that not every product will suit your requirements. This is why we provide an extensive range of different options for each product, to give you as much variety as possible. This includes 18 different styles of computer mouse, 44 different power banks and 300 custom flash drives! Print in single or full colour, on one side or both, and reap the benefits of a branded technology products that will more than capture your clients’ attention. We’re living in a digital age, and Conference Product Experts is ready to help you shine! Get in touch and customise your technology products today. If you’re organising an event or show and need the best quality lanyards and name card holders for your attendees, Conference Product Experts has you covered. IIf you’re exhibiting and want visitors to your booth to stand out from the crowd and carry your brand with them everywhere they go, then look no further. Our unparalleled range of branded lanyards and name card holders are the epitome of comfort, organisation and style. 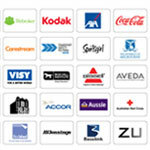 Conference Product Experts is in-tune with the ever-expanding needs of businesses from any industry. We not only provide full-colour printing on lanyards to help your business make a bold statement, but we also offer several different lanyard styles with a variety of materials and clips to suit. Contrary to popular belief, there is no ‘one size fits all’ approach to lanyards. With every attendee wearing one, there are few better opportunities to make a powerful brand statement. From satin, nylon and polyester, through to eco-friendly bamboo, recycled PET and corn, you are spoilt for choice! 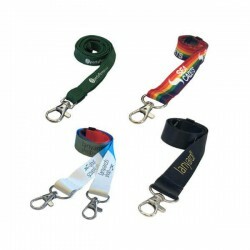 Our lanyards even come in different lengths and thicknesses, along with different attachments such as zips, universal, retractable or standard-release, giving you ultimate choice and flexibility. Understanding that your business may require something just that little bit different, we ensure we’ve got the variety to cater to you. When you’re ready to make yourself stand out at your next trade show, get in touch with the friendly and experienced team at Conference Product Experts. We happy to discuss your requirements and match you up with the promotional lanyard that will best fulfil your needs. It’s as easy as that! Each client is unique. You value their custom and want to ensure they know it, right? Do you want to maintain your working relationship or potentially take it to the next level? The next time you find yourself meeting with your clients at conferences, industry events or trade shows, you will be able to show your appreciation with branded, premium outdoor and leisure products from Conference Product Experts. Nothing makes a customer feel special or valued, quite like a printed outdoor or leisure product from Conference Product Experts that they can enjoy when taking some time away from work. Opt for a picnic chair that takes your branding to the beach, or why not choose a BBQ set that enables them to cook in the sunshine with your business on their mind? From branded tools and towels through to homeware products, outdoor entertainment goods, umbrellas and more, there is sure to be an outdoor and leisure promotional product that takes your fancy. Leave your competition in your wake and feel great knowing that your clients have you front-of-mind, even on the weekend! Our ultimate goal, like yours, is to provide our customers with premium, quality products and outstanding service. 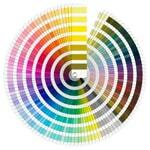 Our state-of-the-art printing technology caters to every need. Whether you require etching, screen printing, fine detail stitching or embroidery, you are sure to be impressed with how fabulous your brand will look on our extensive range of products. Grab the attention of passers-by, make your customers feel valued and special, and put your branding in the spotlight. Contact our experienced team to get your order underway. 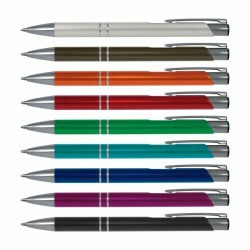 One of the most popular promotional products for conferences, events and promotions to-date, is the pen. The mighty pen is undoubtedly one of the most convenient, useful, sought after item at any event. Knowing just how popular pens are, the team at Conference Product Experts ensure there is a huge selection of options available in a variety of materials to suit a wide range of businesses. From lightweight plastic promotional pens that are perfect for gifting to hundreds of potential customers, to elegant presentation pens that make stunning corporate gifts, there’s something for everyone. In fact, our range even extends to pencils, sharpeners, pencil cases, corporate pens, executive pens and so much more! Do you need the full package to present yourself to the market with ultimate efficacy? We can help! 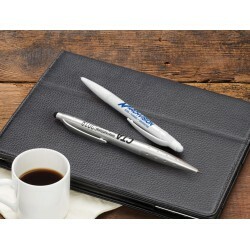 We pride ourselves on offering an extensive range of promotional pens that can be used in all kinds of environments. These can come with either blue or black ink refills to suit your particular taste, or in gift boxes as giveaways. We can print full colour or single colour, and offer several different pen colour options with barrel and grip variations, too. Contact us today to discuss your requirements and our expert team can help you source a pen that best represents your branding colour! With a price beat promise, fast shipping and exceptional customer service, there’s every reason to reach out to the friendly team at Conference Product Experts today! Throughout the year, many businesses take the opportunity to present their products and services at tradeshows and conferences. However, there’s one thing standing in the way of you and your clients – every other business attending and exhibiting! Tradeshows are an investment in the future of your business, so you need to ensure you’re maximising your return at every opportunity. Stand out from the crowd and show the general public you mean business by investing in tradeshow giveaways and promotional products that will help get your brand noticed. Think of your tradeshow giveaways as unique business cards that don’t get lost in your wallet. 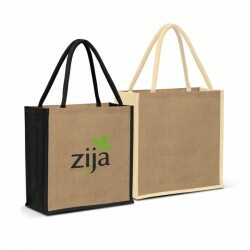 They showcase your corporate identity but are practical and useful. Here at Conference Product Experts, we are dedicated to making sure your tradeshow experience is a positive one. 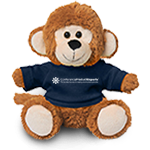 We offer a range of printed toys, knick-knacks and giveaways that ensure your business becomes a talking point with your customers! This includes yo-yos, stress balls in various shapes and sizes, money boxes, slinkies, key rings and so much more. Trade shows can bring thousands of potential clients all to the one location. It’s a goldmine of leads for future prospects, so don’t let the opportunity pass you by! We offer cost-effective options on thousands of products that could be the difference between clinching a deal, and losing it. Get in touch with our experienced customer service team and find out what we can do to help make tradeshows work for you! Do you have clients that spend much of their time on the road? 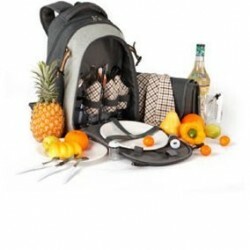 Are you showing off your wares at a travel expo? Are you involved in the travel or hospitality industry? In the busy business world, travel is an integral part of working life for many. Whether you’re rushing away to a conference that’s a plane trip away, or you’re jet-setting away to seal a deal with a client, these branded personal products will be a valuable asset. 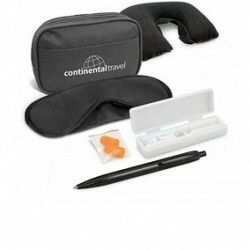 From comfortable neck pillows and eye masks through to tissue packs, branded travel sets and luggage locks, there are so many products you can gift to your most valued clients. There are thousands of trade shows and expos held around Australia each and every year to help maximise your investment. While most of your competitors are arriving armed with brochures and flyers that weigh down prospective clients’ luggage, you could be preparing your contacts with items that will make their lives just that little bit easier while their on the road! Buck the trend and become a leader in your industry. There are several ways in which we can emblazon your branding on the promotional travel product of your choice, whether it’s embroidery, screen printing or fine detail stitching, we’ll make sure you stand out. Do you want to be different? Do you want to reach your target audience in a unique and practical way? Let Conference Product Experts show you how. Get in touch today and find out how we can turn ordinary travel products into extraordinary forms of advertising! Sometimes it takes a little more than a fancy booth to win over prospective new leads. 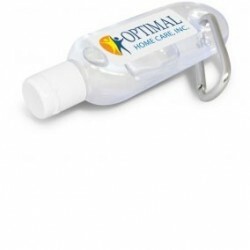 While it helps to have a friendly disposition at trade shows and other public events, you are sure to seal the deal in a far more effective manner with promotional products and trade show giveaways. From promotional pens, bags, apparel and hats, through to reusable coffee cups, branded technology products and more, there are so many promotional products to help your business shine in an otherwise crowded business environment. It’s vital that you stand up and be noticed. A business that cares about its brand and utilises all available avenues to show it off is one that gets ahead. When it’s time to offer your customers something unique printed or embroidered with your logo, you can rely on expert advice from the attentive, knowledgeable customer service staff at Conference Product Experts. Not only do we treat you like an individual, but we dedicate our time to ensuring the promotional products you choose will suit your unique requirements. Conference Product Experts will print and embroider your logo using the most advanced technology available; we’ll even provide you with free virtual samples to ensure you’re happy with the overall design. 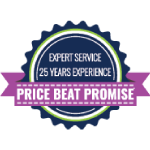 When it comes to affordability, we have a price beat promise and will better the cost afforded by any competitor on a comparable item. Best of all, we offer fast delivery to anywhere in Australia! Don’t let the competition take what’s rightfully yours. Get in touch with our team and arm yourself with promotional products to futureproof your business today. 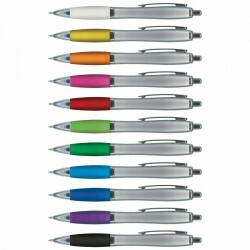 Retractable plastic and metal ball pen with a metallic finish barrel and soft touch rubber lacquered grip. Large cooler bag with PE foam insulation encased in a waterproof PEVA inner liner. The outer construction is 600D polyester with a large front pocket and 2 mesh side pockets. Has both carry handles and shoulder strap.